Understanding the nutritional content of a meal is important. To help determine the nutritional content of your meals, most foods, with the exception of fruits, vegetables and some prepared foods, have a nutrition facts label as a tool to help you figure out what you are eating and an appropriate amount for you. 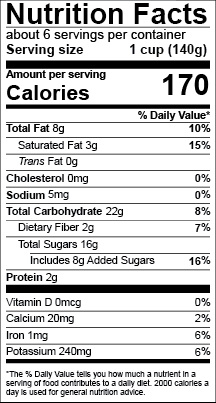 While nutrition facts labels have useful information, oftentimes people eat differently than what the label reflects. Portion control is an important part of being healthy. Being aware of the usual or recommended portion sizes of different foods is a great habit to develop and may also help you to be more aware of your body’s levels of hunger and fullness. 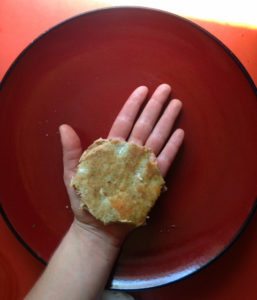 For some people, portion control is not a challenge while others need more support to make sure they are not over or under fueling their body. What is a “serving size” versus a “portion”? A serving size generally refers to the information on the nutrition facts label. A serving size is determined using guidelines published by the FDA (the Food and Drug Administration). Serving sizes are intended to help a consumer figure out about how much of a food is typically eaten at one time. 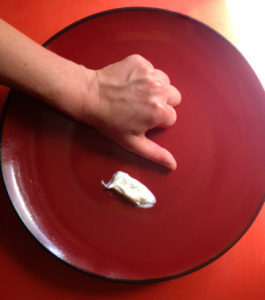 In contrast to a serving size, a portion is the true amount one puts on his or her plate. A portion may be more or less than a serving size. Portions are generally how people talk about the amount of food they eat. Why does serving size matter? 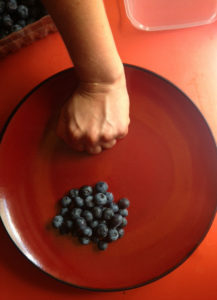 Serving size matters if you are trying to understand how much of a certain food to eat. For example, the serving size of yogurt is 1 cup whereas the serving size of sour cream is 2 tablespoons. If you knew nothing about the nutritional content of these products, from their serving sizes, you would be able to figure out that yogurt is intended to be consumed in a larger portion compared to sour cream. When looking at a nutrition label, all of the information is based on serving size. For example, in the example nutrition label below, the serving size is 1 cup, and there are 6 servings (6 cups) in the entire container. If you ate twice that amount, you would need to multiply all of the lines on the label to reflect the nutritional information in the amount you ate. So for example, in 2 servings, there would be 16 grams of fat and 4 grams of protein. Additionally, if you are trying to eat a certain amount of nutrient, it will be important to understand how to use the nutrition facts label to help you figure out if you are getting enough of the nutrients that your body needs. Is a serving size the amount I’m supposed to eat? No! Not necessarily. A serving size is simply the amount determined by the FDA as the amount “generally consumed” in order to list the nutrient data for one serving. The FDA doesn’t know if you just had a snack and only want a taste of another or if you are really hungry and need to fuel up. For example, the serving size for bread is one slice. Sometimes this might be the amount of bread you eat if you were having for example, a piece of toast with eggs. Other times, you might have a sandwich made with two slices of bread. How can I tell how many servings I’m eating? If you are looking to better understand how much of certain foods you are typically eating, it can be a fun experiment to try and figure it out! For example, you may wonder if the amount of cereal you are eating matches up with the serving size on the box. One way to figure this out would be to pour out the amount of cereal you typically do, and then use an empty measuring cup to figure out how much cereal usually goes into your bowl. 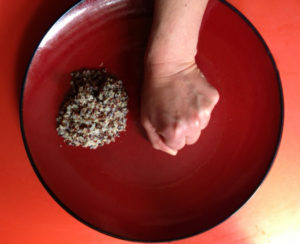 Why do portion sizes matter? Portion sizes matter because they help some people manage their weight. Understanding what an appropriate portion is may help you to make sure you are eating about the right amount. It can be challenging to eat an appropriate amount in particular instances, such as at restaurants and at parties. In these cases, having an idea of what a portion of particular foods look like may help you to ensure that you eat the right amount for you. How can I estimate appropriate portions without measuring? 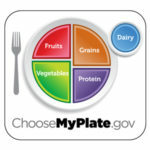 How do I know if I’m eating the right portions for me? It’s always a good idea to talk with your health care provider or a registered dietitian to make sure you are eating the right amounts of the best foods for you.